First cousin to textile mill owner Edwin M. Holt, Sam Holt seemed an unlikely defender of the rights of common people. His anger arose from an encounter with a poor man of Randolph County whose only plow horse had been seized by a Confederate “press gang”. The ordinary people defended by Samuel Holt are a major subject of the essays featured in The Long Shadow of the Civil War. ** The lives of three anti-Confederate guerrilla leaders—Bill Owens of the North Carolina Quaker Belt, Newt Knight of the “Free State of Jones” (Jones County, Mississippi), and Warren J. Collins of the Big Thicket Jayhawkers of East Texas—are highlighted in various chapters. Also featured are communities of multiracial and white kinfolk who faced a volatile home front during and after the Civil War. 1) how prevalent was support for the Union among ordinary southerners during the Civil War, and how was it expressed? 2) How did southern Unionists and freed people experience the Union’s victory and emancipation of slaves during the era of Reconstruction and beyond? 3) What were the legacies of the Civil War, Reconstruction, and the South’s white supremacist counter-revolution in regard to race relations, class relations, and New South Politics? To answer these questions and more, each essay examines a unique aspect of the Southern home front during the Civil War, but also covers events that occurred long after the fighting had ended and the nation was “reconciled.” Several essays, including one about the mixed-race descendants of Newt and Rachel Knight, extend their stories well into the twentieth century. The incredibly long shadow of the American Civil War reminds us that the past, truly, is prologue. *Letter dated May 24, 1863, contained in Governor’s Papers, Vance, North Carolina State Archives. **For more information on this book as well as all my publications, including where to purchase, see Publications. Hi, How are you? I havent been online for awhile. I am reading your book, The free State of Jones. It is great! Thank you. Zorada Knight was my great grandmother, on my Fathers side. We grew up in Hebron. I think History is interesting and important. As I’m sure you know, in 1895, Montgomery Blackwell testified on behalf of Newt Knight’s government compensation claim. 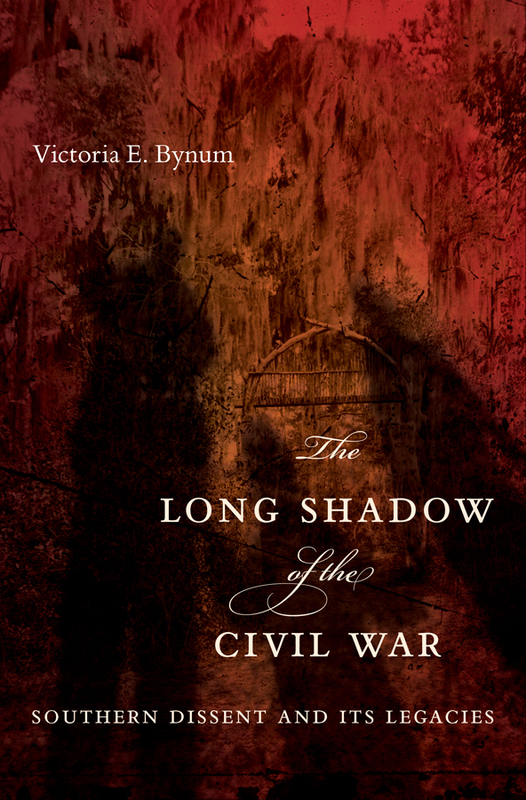 My upcoming book, The Long Shadow of the Civil War contains an entire chapter (titled “Fighting a Losing Battle”) that analyzes that thirty-year claim process. I am pleased to know that you are enjoying Free State of Jones, despite all its lengthy footnotes and complicated stories. I never wanted the book to be simply the story of Newt Knight—to me, the “free state of Jones” is an entire community’s Civil War ordeal, as well as a result of a long history of forces that produced a social and political ordeal under the pressures of war. The Long Shadow of the Civil War traces that struggle even further—well into the twentieth century. Hi Maxine, nice to meet you! You not only have a Knight relationship, but Montgomery Blackwell was a member of the Knight Company. I should also point out that my grandmother was Sophronia Tisdale, daughter of Washington Tisdale and Margaret Reeves. They were from around Sweetwater, too. One of my great aunts, Anna Bynum married a Blackwell. The “lengthy footnotes” add a lot of interesting background on our ancestors. Thanks for inserting the footnotes. I appreciate your letting me know that! People with no personal connection to Jones County sometimes complain that the book contains “too many names.” From the time I began writing my books, however, I resolved to include the actual people, by name, that participated in this important history. I wanted descendants like yourself to be able to place their actual ancestors on the scene wherever possible. Just a brief note re your book (which I enjoyed) and the “Echo of the Black Horn.” Also an interesting, albeit tainted read. Wesley Summerall (Sumrall) cited in the latter, rode with Newt Knight and was cousin to my great-great grandfather, Jacob Summerall, station master and conductor for the Shubuta RR Station and Meridian during the Civil War. Jacob lost two brothers during the war fighting for the South. The family history reiterates the cost of the war that split families apart. Thanks for providing personal details of the Sumrall family’s service on both sides of the Civil War. Yes, this was all too common, and one can only speculate in most cases why one branch went one way, another the other. I agree also that Ethel Knight’s Echo of the Black Horn is an interesting read, and essential if one is to understand the community divisions. Although my interpretations of people and events differ dramatically from hers, her pinpointing of those events was essential to my knowing where to begin my research! I am so happy that I ran across this page. I like so many others here is in the midst of tracing my family tree. I’ve always been told that my father’s paternal grandmother was named Largania Knight. Since my father’s father line could be traced a few generations back in Lawrence County, MS. I assumed this was a fact for his mother’s line as well. While it was true for her father’s line (Oatis) this was not the case for her mother’s line (Knight). Upon further digging I fould that her father was Jackson or Jack Knight and his father was Lewis Knight who was born in Jones County, Mississippi back in or about 1838. I’ve only just learned the story of Newton Knght, but I don’t know if there is a direct connection? I was wondering whether there is a family tree that I can check with or any information that you can offer to help me in my search. Your Knight information is interesting. I don’t know of a Lewis Knight, born around 1838, from Jones County, but I do know that Newt Knight’s grandfather, John “Jackie” Knight, had a brother named Lewis who was born Jan. 27, 1777. This Lewis was bonded to marry Elizabeth Gunby in Columbia Co., GA, in 1805. It’s possible your Lewis is descended from this line. Do you have any more information that might help make connection? Thanks for your message. Perhaps some of our readers have additional information. Hello my gr grandpa was Lewis C Knight. You will find him in the census in Mississippi County, Missouri. He had many children but one of the son’s names was Stonewall Jackson Knight… Also known as Jack. You can find their death certificates if you search the Missouri Death Index. It is free to search. Lewis Knight’s mother was Laura Lavina or Levina Center or Senter Knight. Lewis was a Confederate, mounted infantry, in the Civil War. At that time he was from Roane County, Tennessee. Lewis Knight married Mary Ann Dillingham. Thanks, Ellen. Is there any evidence that these Missouri Knights were related to those of Jones County, Mississippi? My Landrum Family was from Jones and Wayne Counties, Mississippi. My great great Grandfather was Henry Marshall Landrum. He named my Grandfather Ulysses Grant Landrum born in 1864. Do you run across this name in any of your research? Sandra, we are cousins! Ulysses Grant Landrum was my great grandfather, his daughter Pearl Landrum Eaton was my grandmother, her daughter Elizabeth Eaton Rost was my mother. We’ve heard various stories of how he got that name, but knowing about the “Free State of Jones” assumed they could have been Union sympathizers. Sandra, The Landrums were well known Unionists in the Jones County region of Mississippi, and it’s not surprising you have an ancestor named Ulysses Grant Landrum! I am in Texas right now, away from my files until mid-March. I do have some material on the Landrums which I will check when I return home. Meanwhile, perhaps readers will add some information on your family. Two other brothers of Henry M. Landrum were Linson B. Landrum (1823-1865) and Samuel L. Landrum (1836-aft 1900). Linson served in the CSA 48th MS but deserted to the Union side in Dec 1864 and took an oath of loyalty. He request to be transferred to New Orleans to serve with his brothers but probably died en route. Some genealogies cite him as having died on 19 Apr 1865, but I’ve never seen any direct sources for this. Samuel’s gravestone lists him as having served in ‘Cobb’s MS Battalion.’ In fact, he appears to have enlisted in the 2nd AL Light Artillery, deserted at Missionary Ridge in July 1862, and been returned to his unit under arrest in November 1863. Thereafter, he might have ended up in Cobb’s (Kentucky) Battalion, although I found no records for him there. Having accumulated a fair amount of material on the Landrum brothers (and cousins), I hope to post an article about their Civil War activities sometime in the future. If you have any family lore on the topic, Vikki and I would love to hear about it. I am a descendant of Ulysses Grant Landrum and can supply a photograph of him, if needed. The Landrums were well known Unionists my line was from Linson B. Landrum who died in New Orleans also brother named Thomas S. Landrum who I believe to be the Capt. Landrum they talk about in jones. he took a lot of people to New Orleans with him to join the Union there are a lot of other names who are kin through marriage that went to New Orleans I have Pitts also who married Knight. On the U.S. Southern Claims it said that The Landrums were well known Unionists . Linson B. Landrum was my 3 Great Grandfather. Comments:	Landrum, Samuel, Pvt. Co. B, 8th Ala. Cav Rolls of Prisoners of War, Paroled Meridian, Miss., May 14, 1865. Res. Marengo Co. Ala. I found Mississippi Confederate pension records for a Mary Landrum, widow of Samuel L. Landrum of Wayne County. Hope this is your relative. She filed for a widow’s pension in August, 1910, following her husband’s death in April — and filed again in 1917. The 1917 application listed her husband as serving in “Waters Light Artilery” and “Cobbs Batalion.” She gave the name of one of the officers as “Captain Walters” so it could have been “Walters Light Artillery.” The images are available on the Family Search website. The following link should take you directly to the first image (of four). Ed, you are right on with Mary Landrum being the wife of Samuel Lincoln Landrum. Her info on the request for pension matches that he served in 2nd artillery as shown by the link below. His name is in the roster. Do you details of Sam’s brother Elijah’s service? Jackilyn: I could not find any military records for an Elijah Landrum. Also, please note the link I posted to Family Search goes to image 134 of 591 in that set. The other MS Confederate pension application by Mary Landrum, widow of Samuel L. Landrum, is found on images 132 and 133. I am looking forward to your upcoming article. Grandpa “Liss” was always called U.G. The reason is apparent. The family story was that Grant camped on Henry Marshall Landrum and his wife Cynthia Pate’s farm during the war. He came to their house for supper. Cynthia was pregnant at the time and when Grandpa “Liss” born born she named him for Grant. Have had a hard time finding good info on Samuel L. Landrum and real proof he was with the Cobb’s MS Battalion. I am not sure he was Henry Marshall Landrum’s brother. If you have knowledge of his relationship to Henry Marshall, please let me know. Linson B. Landrum died at the Charity Hospital in New Orleans, La. I have found several documents showing the some of the Landrum men signed oaths of allegiance to the United States. I will be happy to share anything I have with you about the Landrum Family. I can e-mail you any copies of documents I have if you wish. I should have added to my previous e-mail, years ago in Jackson, Miss. at the library I found an index card stating: H.M Landrum Constable in Dist. 4 Jones County, MS Nov. 3, 1864 Page 403. July 2, 1864 Davis County (jones County I think changed it name for a short time to Davis County. I was not able to look at the records. Henry Marshall Landrums youngest brother Elijah came home during the war and his Mother made him a new uniform. He left and later he was killed and dumped on his Mother’s front porch or the other version he was buried under Cooley Bridge in Wayne County. His wife’s name was Elizabeth Busby. They had two children Thomas Matthew Landrum and Rebecca Landrum, who married a Cooley. Thanks for your further comments. I’m requesting that Vikki supply you with my email address. Henry M. Landrum being a constable would explain his absence from Civil War records, since it provided an exemption. One puzzlement for me is whether the Landrums of Jones / Wayne counties are the same ones who enlisted in the 2nd AL Light Artillery in Mobile AL between Oct 1861 and Mar 1862–but we can discuss that via email. I have just sent you Ed’s email address. Let me know if it doesn’t arrive properly and I’ll resend it. I did receive Ed Payne’s e-mail address. Thanks so much for your message! Zorada Knight and R.M Blackwell are directly centered in the Free State of Jones, as you of course know. I became interested in researching the history of this Civil War insurrection while researching my first bookUnruly Women, which began as my doctoral dissertation in 1982. My discovery of the Unionist communities in the North Carolina Piedmont reminded me of how I’d read years ago a footnote about the Free State of Jones. The fact that my father, Oma Stanley Bynum, was from Jones county, made me particularly interested in making The Free State of Jones my next book. But I never dreamed I’d find so interesting a story, or that my own ancestors were so deeply involved in it! Unruly Women (1992) is about women who acted outside the boundaries of the law in the antebellum South–especially nonslaveholding white women and free women of color. I discuss in depth women who crossed the color line, and the connections of interracial mixing to larger issues of slavery, segregation, and racial identity. The final two chapters of Unruly Women are about the Civil War. Those chapters tell the stories of ordinary women who struggled to survive the devastating effects of the war. They also tells the story of women of the NC Quaker Belt who supported anti-Confederate activity. Some engaged in food riots; others protested to local and state officials; many others helped their husbands hide out from the Confederate troops and vigilantes. I returned to many of these stories and expanded them in my 2010 book, Long Shadow of the Civil War. Yes. It’s available from both Amazon and Barnes & Noble. My Great Grandfather was Ulysses Grant Landrum born in 1864. I would like to more about his family and their connection to the Union. Sherri, the Landrums were well known for their Unionist beliefs in southeastern Mississippi, hence your G-Grandfather being named after General Ulysses Grant. Other than that, I have not researched this family. I hope some of our readers can help you. My great grandfather is also Ulysses Grant Landrum. i will be happy to share ifo with you Sherri. Sandra, I will privately send your email address to Sherri if you’d like, or it would be great if you shared info right here on the site. Whatever you prefer. I have sent Sherri your email. Let me know if I can be of more assistance. Thank you. I want to check and see what information she has and maybe can will come up with some solid information about Henry Marshall Landrum, who was the Father of Ulysses Grant Landrum, and share it with the site. I really enjoy reading Renegade South. Thank you! I’m searching for info on my husband’s granddaddy, Ernest Carl Landrum, who was either born in New Orleans or Mississippi 08/27/1896. I know that a number of Landrums went to New Orleans around the time of the Civil War, possibly some of his relatives were among them. He lived in Jones County, Mississippi at least part of his life. I think he was buried in Mississippi in 1937. Thanks for your help. Earnest Carl Landrum b. 8/27/1896 d. 2/21/1937 married Frances Armada Graham. Grandfather: Samuel L. Landrum, Sr.
Hope this is the family you are looking for. Thanks, Sandra. That helped a lot. His family history has been hard to track. If you know anything else about his family and why his family was in New Orleans, I would love to hear from you. Some of the Landrum men were Unionist. Several of them were in the 1st New Orleans Infantry. Ed Payne has written several articles on this subject. I don’t know much about Samuel L. Landrum and his wife Mary Johnson. If I get more information I will be glad to share it with you. Do you have any family stories you would like to share? Do you know whether Ernest Carl Landrum was born in Mississippi or New Orleans? and If in New Orleans, why they were there? Also do you know anything about Eliza Theodoria Pitts. Thanks. Do you know why the Landrum family is such a hard family to trace–or is it just me? Hi my father was E.L. Landrum he was called lee. his father was Eligah Thomas Landrum narried Virda/Verda clifton. Eligah’s father was Thomas Landrum married Alice Palmer. i know there are a lot of thomas landrum from jones wayne perry greene washington back then they were basically all the same area. But, my question is if the Thomas i found is my great grandfather it shows Alice in 1910 census as widowed I also have found a Thomas landrum married to Lula with child in the 1920 census. My father E.L.”lee” Landrum. died when i was 5 mom remarried and the new husband would not allow any contact. So i am basically flying blind. Any help would be appreciated. Linda, Patricia, and sandra have all given help and i would like to thank them. So any information about Landrums and Cliftons from perry county. I have done 23andme dna. as well trying to find any family for background. thank you very much melissa. It may be that your Thomas Landrum married to Lula, with child, in 1920 is married to Lula Carney-Sims-Landrum of Beat 4, Wayne County. Lula is the daughter of John C. Carney IV and Lula Ann, Annie, Pearson-Carney. Ulysses Grant Landrum married Susie Sumrall who was the sister of my great grandmother Elvira Ann Sumrall. Elvira was married to my great grandfather Robert Shoemake. UG’s uncle was my 3rd great grandfather Linson B. Landrum. Linson’s widow, Elizabeth Pitts married my 2nd great grandfather Elijah Shoemake, Elijah was the father of Robert. It makes my tree on Ancestry look like an LA freeway. You and I come off the same tree. Ulysses Grant Landrum and Martha Susan (Susie) Sumrall were my great grandparents. The more I look into to the family the more confused I get. It is a wreck on the Freeway. Sandra. I just got back from a trip to Nacogdoches County Texas. The Pitts families there are just as confusing though there doesn’t seem to be quite the interaction with the Walters and Landrums. Mississippi is in the near future with a trip to the Mount Moriah Cemetery in Jones County planned. Mount Moriah seems to be the center of the universe for my family…Pitts, Walters and Landrum included, The saga continues……..
Vikki, I too have read Free State of Jones…3 times…and thoroughly enjoyed it and I am enthralled with this site. I’ve read a lot about how the war divided families and have an interesting twist that I have been pondering for some time. My second great grandfather was Elijah Shoemake. He and his family arrived in Wayne County in the 1840s from South Carolina. He enlisted in the Confederate Army on April 30, 1862. All but one of his 4 brothers also served in the Confederate Army. In a letter dated March 8, 1865 written by Martha Holley, widow of Columbus Holley from Coffee County, Alabama to Elijah’s sister-in-law Mary Polly Boyce Holley, Martha enquires as to whether Elijah is still “driving stock to the army”. For whatever motives he was obviously in it to the end. And yet, upon his return to Jones County, he chose to leave his wife Elizabeth Boyce and cohabitate with Elizabeth Ann Pitts Landrum, widow of Linson B. Landrum, who deserted the Confederate Army and pledged his allegiance to the Union. After 3 children, and a move to Angelina and Nacogdoches Counties in Texas, they married in 1882. Elizabeth died in April 1885 in the Harmony Community in Nacogdoches County. Elizabeth Landrum was a widow with 9 children. Linson’s land was willed to his children. The Landrum families in Jones County were staunch Unionists. And Elijah and Elizabeth moved to Angelina County, as did many of Elizabeth’s Pitts and Landrum relatives, Angelina County being one of a few counties in Texas to vote against leaving the Union. And yet they chose to live out their days together. I’m very pleased to know that you have enjoyed both Free State of Jones, and this site, Chuck! You have a fascinating family history, and the Angelina County connection is interesting–also puts the family fairly close to the Collinses of East Texas. Most of the early men in Jones County were Masons. I have been told that the old records for Jones and other counties are stored in the archives in Meridian, Miss. I don’t know if they would allow us to look at the old records. Just thinking it might help us uncover the correct names for some of the men in the family. There are times when people second guess what an initial stands for. I have researched my ancestry in Jones and Wayne and Waltfall Counties.. My Father was a Brumfield and my Mother was a Davis and I have been trying to find out if either familly was in the Civil War. Do you know. and my name is Tommy C Robinson and I have enjoyed your book. Thanks for the information, Tommy. Looks like you and I have a kin connection with John Rayborn Shows. I don’t know where John Rayborn fits in the line, but I am descended from Daniel Monroe Shows (1822-1865) and Sarah Ann Terrell (1830-1900), Am glad you enjoyed my book! So glad to find a connection… John Rayborn Shows and my great great granddad were brothers their ganddad built a rough shod mill on a small set of falls that is now called Union Falls. Right smack in the center of Jones county. It is close to the Leaf river, right off the tallahalla. I have wondered for years if it was tied to Newton Knight? I come off the Henry Marshall Landrum side. He and Linson B. Landrum were brothers. been working on Thomas S were he got paid 600.00 for his 3 mules by the US and how the Landrum family were all for the north my Linson B was going to New Orleans to be with them after taking the oath to the U.S. that were he died at. Henry Marshall Landrum was not in the 1st New Orleans Inf. That is another Henry Landrum. He is younger than Henry Marshall Landrum. Fold 3 has great records on Thomas S. and Linson B. in the civil war. H.M. Landrum-Policeman in District 4 Davis County Nov. 15, 1866–Special orders #141 July 2, 1869 Page 307. Our Henry Marshall Landrum was probably running with Capt.Edwards. I will find my notes on that and send them to you. My great grandfather was Ulysses Grant Landrum. Good to find another cousin! sorry your right that was Thomas S Landrum son Henry who was in 1st New Orleans Inf. Lots of folks have gotten Henry Marshall and his nephew Henry confused in regard to the Civil War. I have to tell you some folks think this Landrum is Thomas S. Landrum. By the way Thomas had a son named Henry that was in the war. I have not looked at it close enough by checking Thomas S Landrum records on fold 3. I know Henry Marshall was a Unionist from the very beginning of the war and never fought for the Confederacy. Ramsey’s report is confirmed by a letter written 29 March 1864 by Captain Wirt Thompson of Company A 24th Mississippi Regiment, to James Sedon, The Secretary of War for the Confederate States of America. Thanks for sharing this Sandra — super interesting. Do we have any way of finding out which Landrum brother was “Captain Landrum”? Not at this time. I have assumed it is probably Henry Marshall Landum b1827 because he never was in the Confederate Army and then deserted. There is nothing on Fold3 for a Henry Marshall Landrum born in 1827. The Henry’s listed on Fold 3 were born much later. Purely speculation on my part. Really don’t know. The interesting thing is the timing……. …..so, timing wise, it could have been any of the brothers who was “Captain Landrum”. It is interesting and maybe one day we will be able to straighten it all out! Linson B Landrum is my 3rd great grandfather. Well, I’m certainly pleased that you have read my other two books as well as Free State of Jones! Sure wish you’d have found your wife’s surname in Unruly Women. . . .
Looks like you are into some fascinating family research. In regard to tracing ancestors beyond the federal population censuses, some of the best sources are county court records, including marriage (which often but always recorded one’s race) property, tax, civil, and criminal papers. Many people appear in criminal records for reasons other than committing crimes, for example, as victims and witnesses. Race is often recorded in both civil and criminal records. Some of these records are now online, but most require visiting state archives, county courthouses, or, sometimes, libraries. Hi Vikki, Happy Wednesday! Regarding your great grandfather Washington Tisdale (known as “Wash” by the family), was my grandfather’s brother. Wash and Bob (My grandfather) inherited land from their father, divided the land and lived on it all their lives out in the Sweetwater community. Wash had a son named G. W. but called Red Top because he had red hair. I remember him although I was young and he was a good bit older than I. My goodness, I am having memories I have not had for too many years. So as Bob Hope used to say ——- thanks for the memories. How fun! I have a powerful feeling that Washie was G. W. (Red Top) Tisdale. Wash, as I mentioned before, had a son and I am sure his G. W. initials were for George Washington. He had bright red hair! Is there anyone still living in your family who can verify this? I would like to know to file all this away in my memory banks. I do so love family history! I have some Newt Knight stories that my grandfather (we called him Pa) told me. They were so exciting and I begged him to tell me more! Pa never told me my grandmother (Ma) was related to him and I am sure Daddy never knew I was hearing those stories. It would have been Katie bar the door! My kinship information came from Mama and she swore me to secrecy, I could never let Daddy know. I’ll look into my family history notes and see if I can confirm Washie as Red Top. There is no one left in my family who would remember him, unfortunately. Please feel free to share any stories about Newt that were passed on to you! This information is most interesting to me. My relative, Drew Pate was a brother to Cynthia Jane Pate Landrum. Our DNA shows that our name changed from McCain to Pate in the mid 1700’s to early 1800’s. Hugh McCain was our oldest relative. Our Pate relatives are John Pate and Anna Coward Pate who lived in Wayne County, Mississippi. I can not find a place of burial for them.